Skip the queue to your choice of top attractions including Flight of the Hippogriff, Despicable Me Minion Mayhem and more! A, B, C, and D attractions are time-designated, please visit them at the time printed on the ticket. Save time and have more fun at Universal Studios Japan with an Express Pass! 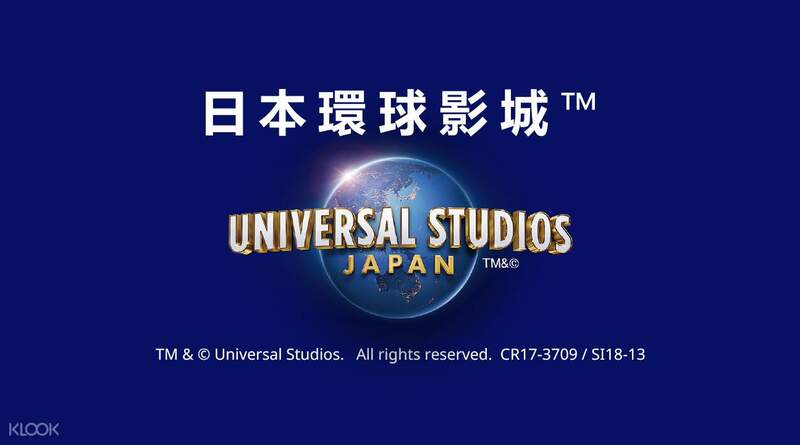 The USJ Express Pass 7 is purchased separately from a park entry pass and allows you to skip the lines at the most popular rides and attractions inside Universal Studios Japan at specific times. Choose from a variety of passes to skip the queue some of your favorite rides and attractions like Harry Potter and the Forbidden Journey, Flight of the Hippogriff, Despicable Me Minion Mayhem, The Flying Dinosaur, The Amazing Adventures of Spider Man, and more! The Universal Studios Express Pass 7 is perfect for families who want to spend the day having fun instead of waiting around on their feet! Make sure the kids remember the rides and not the waits on their visit to Universal Studios Japan. Book your Universal Studios Express Pass 7 today! You will be contacted in the event that the Express Pass is sold out at the time of your booking confirmation. Thank you in advance for your understanding. When going to Universal Studios Japan, it is highly recommend to get the Express Pass so you won’t have to fall in line for hours in major attractions. This pass will give you a fast track queue for some attractions so you save up time exploring instead of falling in line. Take note that a lot of people also bought this express pass so there will still some queue but it is definitely faster than the regular queue. When going to Universal Studios Japan, it is highly recommend to get the Express Pass so you won’t have to fall in line for hours in major attractions. This pass will give you a fast track queue for some attractions so you save up time exploring instead of falling in line. Take note that a lot of people also bought this express pass so there will still some queue but it is definitely faster than the regular queue. Awesome! it's super convenience you don't even need to print anything you can show E ticket for entering. If you are planning to finish USJ in one day I highly recommend you to take 7 Express which is very fast. You can skip the 80min line like a boss. Awesome! it's super convenience you don't even need to print anything you can show E ticket for entering. If you are planning to finish USJ in one day I highly recommend you to take 7 Express which is very fast. You can skip the 80min line like a boss. best attractions in USJ!!!! worth the price specially that the waiting/queuing time for these attractions ranges from 1.5 hours to 2.5 hours. 1. harry potter and the fordbidden journey- definitely a must see attraction! superb in all aspects. i'm still at awe sharing the same experience as our fave hp characters. 2. spiderman-another must see animated ride. 3. flying dinosaur- ADRENALINE rush ride. 4. jurassic park the ride-prepare to get wet. 5. minions mayhem- for kiddos. 6. hollywood dream or backdraft-the first attraction that you can ride once entering the park. also a 10/10 7. harry potter:flight of the hippogriff- rollercoaster ride. best attractions in USJ!!!! worth the price specially that the waiting/queuing time for these attractions ranges from 1.5 hours to 2.5 hours. 1. harry potter and the fordbidden journey- definitely a must see attraction! superb in all aspects. i'm still at awe sharing the same experience as our fave hp characters. 2. spiderman-another must see animated ride. 3. flying dinosaur- ADRENALINE rush ride. 4. jurassic park the ride-prepare to get wet. 5. minions mayhem- for kiddos. 6. hollywood dream or backdraft-the first attraction that you can ride once entering the park. also a 10/10 7. harry potter:flight of the hippogriff- rollercoaster ride. This purchase is extremely convenient if you want to beat the long queue at each popular attraction. The only con is that all shows are in Japanese without subtitles. Personally I find it a waste of time as you would probably spend half the time trying to figure out what is going on. All you need to do is go straight to the express pass queue at the entrance of each attraction, and scan the QR code given with the voucher. You may choose to print a hard copy or use scan it directly from your phone. Both works fine. Something to take note if you are using your mobile phone to scan, do increase the brightness of your screen as some places may be too dark and their machine would not be able to detect the QR code. Otherwise it is definitely a value purchase. Thanks Klook! This purchase is extremely convenient if you want to beat the long queue at each popular attraction. The only con is that all shows are in Japanese without subtitles. Personally I find it a waste of time as you would probably spend half the time trying to figure out what is going on. All you need to do is go straight to the express pass queue at the entrance of each attraction, and scan the QR code given with the voucher. You may choose to print a hard copy or use scan it directly from your phone. Both works fine. Something to take note if you are using your mobile phone to scan, do increase the brightness of your screen as some places may be too dark and their machine would not be able to detect the QR code. Otherwise it is definitely a value purchase. Thanks Klook! Well worth buying tickets before arrival to USJ. Other had to wait in line for tickets then wait in line for entrance. Really reduces the time required to enter the park. I used these passes from my phone and did not need a print out. The scanners at the park read your phone just fine. Really loved the USJ experience. The express pass was well worth the price. if you are like me and hate standing in long lines with kids running everywhere then the express passes are for you too. They are a little pricey but I promise your experience at USJ will be much more enjoyable with them. Well worth buying tickets before arrival to USJ. Other had to wait in line for tickets then wait in line for entrance. Really reduces the time required to enter the park. I used these passes from my phone and did not need a print out. The scanners at the park read your phone just fine. Really loved the USJ experience. The express pass was well worth the price. if you are like me and hate standing in long lines with kids running everywhere then the express passes are for you too. They are a little pricey but I promise your experience at USJ will be much more enjoyable with them. Must buy when planning to visit Universal Studios Japan, as its always so crowded. Our family were so glad that we purchased the express pass in advance from Klook. Without the pass, we won’t be able to get on so many popular rides, as the average wait time were at least 90 mins! Must buy when planning to visit Universal Studios Japan, as its always so crowded. Our family were so glad that we purchased the express pass in advance from Klook. Without the pass, we won’t be able to get on so many popular rides, as the average wait time were at least 90 mins! GET THIS PASS. Literally worth it. We went to the park first thing in the morning and kid you not, there were already hundreds of people waiting for the gates to open. When they did, people were actually running towards rides. The lines were so long I couldn't even think about how many people there were. Even when I thought the lines weren't long as I zoomed through on the express pass lane, THEY WERE LONG. I didn't get to ride everything in the park even after using the times I had on the pass, imagine if I was waiting regularly. Using the single rider lane is a great hack btw if you're kinda not sure whether you want to use the pass on the ride or not or if you wanna ride more than once eg the flying dinosaur. Having this pass really helped us balance the time we were on the rides and to enjoy the other attractions in the park. If you're getting on the Jurassic Park the ride, don't skimp on the rain coat poncho especially in winter when the sky is cloudy and wear waterproof shoes. GET THIS PASS. Literally worth it. We went to the park first thing in the morning and kid you not, there were already hundreds of people waiting for the gates to open. When they did, people were actually running towards rides. The lines were so long I couldn't even think about how many people there were. Even when I thought the lines weren't long as I zoomed through on the express pass lane, THEY WERE LONG. I didn't get to ride everything in the park even after using the times I had on the pass, imagine if I was waiting regularly. Using the single rider lane is a great hack btw if you're kinda not sure whether you want to use the pass on the ride or not or if you wanna ride more than once eg the flying dinosaur. Having this pass really helped us balance the time we were on the rides and to enjoy the other attractions in the park. If you're getting on the Jurassic Park the ride, don't skimp on the rain coat poncho especially in winter when the sky is cloudy and wear waterproof shoes. Expensive but its a must if you want to skip all the Q. Manage to take all the rides and have time to roam around. Waited longest is 5min for a ride which is the flying dinosaur. Just need to print out the e-voucher provided by klook and the staff at USJ will just scan the QR code. Expensive but its a must if you want to skip all the Q. Manage to take all the rides and have time to roam around. Waited longest is 5min for a ride which is the flying dinosaur. Just need to print out the e-voucher provided by klook and the staff at USJ will just scan the QR code.